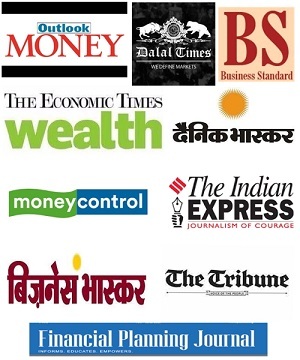 We have written many articles and been Quoted in many Prominent Media Publications in India. The entire exercise of financial planning with Mr. Manikaran was helpful to me in defining my short term & long term needs. He has helped me restructure my portfolio in more systematic and balanced way basis being my needs. His inputs on the status of Investment were well presented and they facilitated decision making. The Financial Plan he prepared, which he also review on yearly basis has put me into a strict discipline. I would highly recommend him to anybody looking for the right financial advice. I did feel that Financial Planning was important but could never really devote enough time to it. It was always on a lower priority. I would do ad-hoc investments in equity and mutual funds without thinking too much. I did not track my investments. I realized that this was not the right approach and started looking for help. Internet obviously gave me huge amount of information but it was all very distributed and inconsistent. While searching I found Manikaran and contacted him. I was apprehensive before meeting him since I always thought Financial Planners essentially sell you insurance plans or other funds. My first meeting changed my perspective. The idea of financial planning, as explained to me by Mani, made a lot of sense. It was simple – you invest based on your goals. Over the next few meetings, I could see the importance of giving time to my finances. Mani simplified things so that I could understand them better. Mani is a very organized and diligent professional. He really knows what he is saying and strongly believes in that. His approach is logical and reasonable and he is open to discussions and suggestions. I rate him very high and strongly recommend him.